When properly managed, documents enable and support an organization’s ability to complete its work and fulfill its mission. However, as documents move from person to person they have a tendency to get misplaced and mismanaged. Eventually, documents will go missing and tasks will fail to reach completion – bringing the organization’s workflow to a halt. Additionally, not effectively managing documents can put an organization at odds with state and federal laws and regulations. Introducing and maintaining a company-wide document organization process will increase workflow efficiency and make your organization run smarter. Accomplishing this starts by getting your documents organized. When organizing documents you need to consider what your objective and goals are. Having a clearly defined objective will make it easier for you to eventually establish your document management policy. It also serves as a check list when organizing your documents. You can compare your process to the objectives to see if you’re accomplishing what needs to be done. Clearly identify and categorize paper and electronic documents to gain control of these assets throughout the organization. Apply record retention policies to all documents for compliance purposes. Protect documents from un-authorized access. As you begin to organize your documents, you may consider what you’re hoping to gain from this process that isn’t detailed in the objectives. Every organization has a different set of goals they hope to achieve. Thinking ahead on some of these goals may change the way you handle your documents compared to other tasks in your workflow. Create an organization wide filing plan that is easily understood. Quickly search and retrieve the documents needed. Easily and effectively maintain compliance requirements. Reduce risk of lost documents. Gaining control and managing your organization’s documents isn’t a one person task. It takes the combined efforts of employees and departments throughout the organization to collect, catalog, and store the documents found throughout. Before you begin this effort, you need to have an internal discussion with key people in your organization to determine how you’re going to carry out this process. 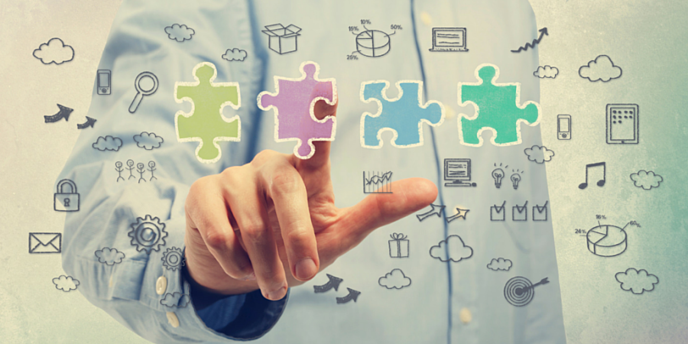 The goal is to detail the life cycle of your current document management process and determine what can stay the same and what needs to be changed. Once these questions are answered, they’ll serve as the blueprint to organizing your documents. If a question doesn’t apply to your organization, skip it. What documents do we work with? List the types of documents that you work with (e.g. contracts, invoices, checks, memos, letters, plans etc.). What documents are stored in your desks, file cabinets, computers, and servers? Do you have documents stored at a records storage facility (how do they get there, how long do they stay there, and how are they retrieved)? How do you keep track of which document is the latest version? How do you protect these documents from unauthorized access? Do you have a backup copy of documents? Do you have a system for deciding where to file a document? Do you have a specific way of naming folders? Do you have a specific way of naming documents? Do you ever delete or shred documents? How do you know when to delete or shred those documents? Who approves the purging of documents? How often do you print documents? How often do you copy paper documents? What do you do with old document copies? When your business workflows are not flowing efficiently, you open the floodgates to high costs, inefficient processes, time-wasting bottlenecks, errors, accountability issues, compliance shortcomings, and impediments to customer relations. 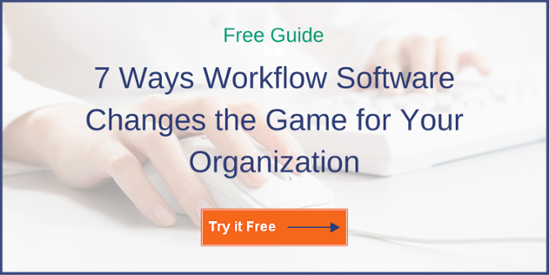 This guide opens your eyes to the seven ways workflow software and process improvement tools change the game for your organization by improving your information flow, cutting costs, eliminating bottlenecks, and reducing human error.